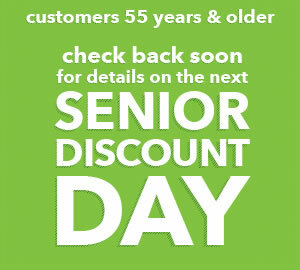 Check back soon for the next Senior Discount Day and Get 20% Off Your Total Purchase! Seniors 55 years of age or older. You must present a state-issued photo ID for proof of age upon checkout to receive discount.